Maureen is a fully qualified, insured and accredited Sports Therapist, who has been specialising in spinal and sports injuries for over fifteen years, working with some of the world’s premier sports people and those involved in the performing arts. She has a particular interest in pain mechanisms and human biomechanics. Maureen has studied many conventional and alternative treatment techniques with leading specialists from all over the world, including Australia and Canada. A firm believer in the benefits of core stability, Maureen was commissioned to write a book on the subject which was first published in the USA in 2001. Titled Swiss Ball For Strength, Tone and Posture, the guide is now available worldwide in many languages. Continued learning or CPD, keeps us up to date with latest research and advances in sports and musculoskeletal medicine. Continued professional development is a prerequisite of all health care practitioners but it is a very enjoyable and fascinating one non the less, especially with the use of modern technology which gives an insight into the workings of the human body which our forebears could only have dreamed of. 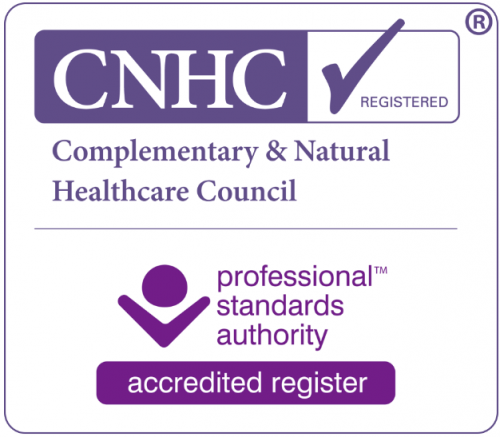 Our practitioner’s CNHC registered status is accredited by the Professional Standards Authority. The PSA is responsible for overseeing the UK’s statutory and voluntary regulated health and care professional regulatory bodies including the British Acupuncture Council (BAC), Complimentary and Natural Healthcare Council (CNHC), The General Osteopathic Council (GOC) and The Health & Care and Professions Council (HCPC). Their oversight and scrutiny of the regulators is important for protecting users of health and social care services and the public. Independent Professional Therapists International Maureen Flett is a member of the IPTI – Professional Association & Indemnifying body. The Federation of Small Businesses. The Sportsphysio.com is a member of the FSB. You can check whether a sports therapist is registered with the Complementary & Natural Healthcare Council (CNHC) by searching the register at www.cnhc.org.uk. By choosing sports therapists registered with the CNHC you can be confident that they are properly trained, qualified and insured. The Sports & Performing Arts Injury clinic is lucky to benefit from the services of a Foot Healthcare Professional. (FDF Footcare). Fraser trained at the Prestigious SMAE institute and is a fully insured and qualified Foot Health Professional and a member of the British Association of Foot Health Professionals. He provides both general and specialised clinical treatment, meeting all your foot care requirements, via his domiciliary service or at our Warwick Bridge surgery. The Sportsphysio.com is a member of the Federation of Small Businesses.